Improving a person’s life can be difficult, especially in circumstances of poverty and extreme poverty where systemic repression has affected access to health services. 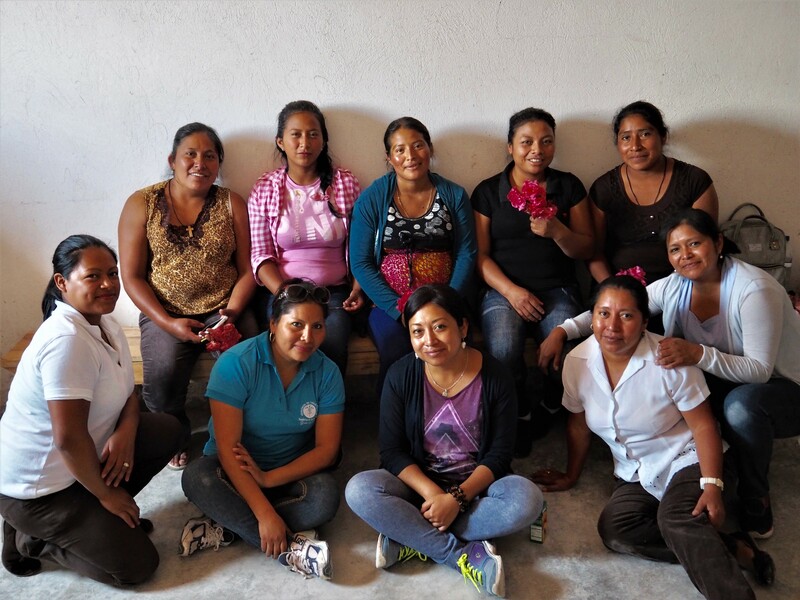 Women in Mayan communities in Guatemala, having survived the trauma of internal armed conflict and many kinds of violence, continue suffering due to gender inequality and are still a highly vulnerable group. These difficulties often manifest as a higher rate of maternal-infant health issues, with 50% of children suffering from growth and developmental delays [MSPAS: National Survey of Maternal-Infant Health (NSMIH) 2014-2015]. At Buena Semilla, we start every project with the premise that, in order to improve someone’s living conditions, all of their surrounding circumstances must be improved. This vision has guided our holistic and inclusive interventions. Our main actors are women, midwives, community advocates and health organizations and our principal activity consists of Women’s Circles, spaces where participants can share their experiences and problems, and then find and apply solutions. “I really like the things they teach us, but the best part is that there are things that stay there, that don’t leave, and I keep them in my heart; and I’m able to relate to my family in a new way”, affirms one of the participants. Focusing on the western part of the country, in the Mayan Mam and K’iché areas, our organization combats inequality and integrates mental health programs into community health programs, always prioritizing respect for the local culture. For this reason, we promote a pluralistic model that combines Mayan and Western medicine, keeping the best of both. Crafts are another activity that we facilitate in our sessions. With materials provided by Buena Semilla and brought by the participants themselves, they make, among other things, dolls their children can play with or embroideries to decorate their houses. These activities are an opportunity to share and learn from the grandmothers, who often join “the circle”. We foster an intergenerational model where everyone is welcome to strengthen the participation of women in their communities. In addition to Women’s Circles, Buena Semilla organizes emotional healing sessions through a participatory method. This allows us to fulfil our vision of holistic development, so men, along with women, can learn more about human rights and emotional health issues. 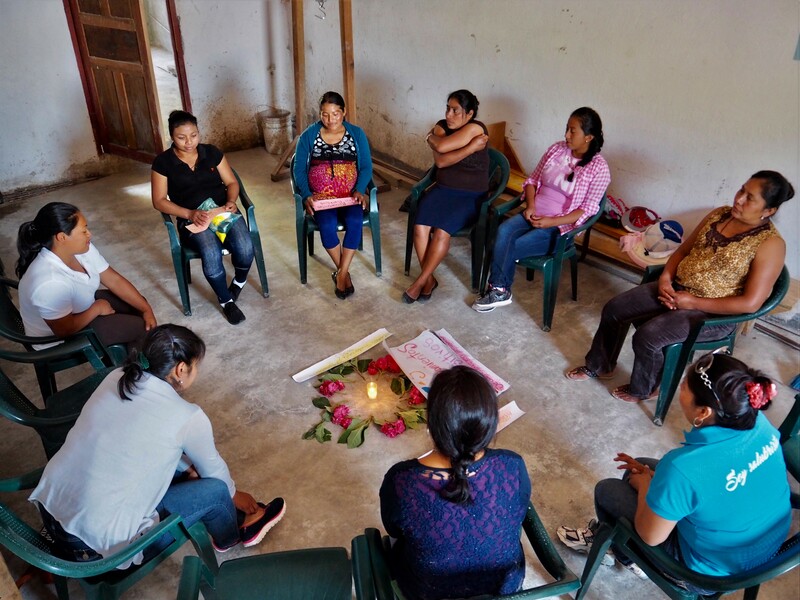 Currently, the Santiago Atitlán communities are developing Men’s Circles, which will help participants understand the need to value, respect and include women in society, thereby improving their circumstances. We want to strengthen the prevention of mental and emotional suffering common in communities with high levels of psychosocial adversity, for whom help is minimal. Thus we rely on the support of the Bill & Melinda Gates Foundation, the Institute of Nutrition of Central American and Panama (INCAP), McGill University of Canada and the Grand Challenges Canada program. The Buena Semilla project is committed to improving the quality of life of the people of Guatemala’s Mayan communities, with mutual support and solidarity.